Nomado Mobile Desk by Martin Ballendat. 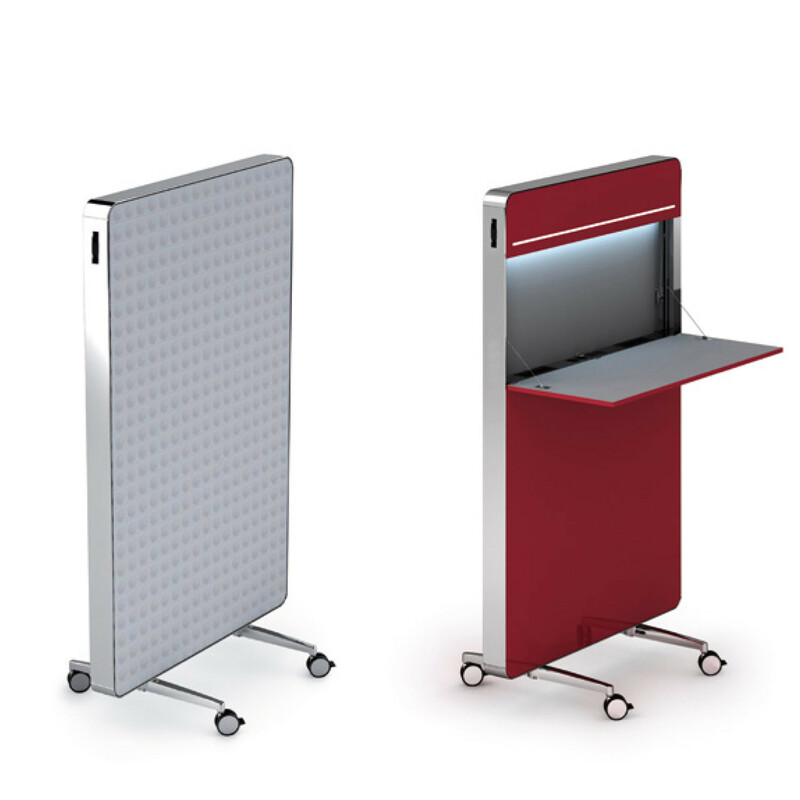 A mobile, stackable desk system, Nomado Office Desk with integrated electric outlets and task lighting can also be used as an acoustic wall separator for modern open plan office layouts, offering flexibility and economy of space. 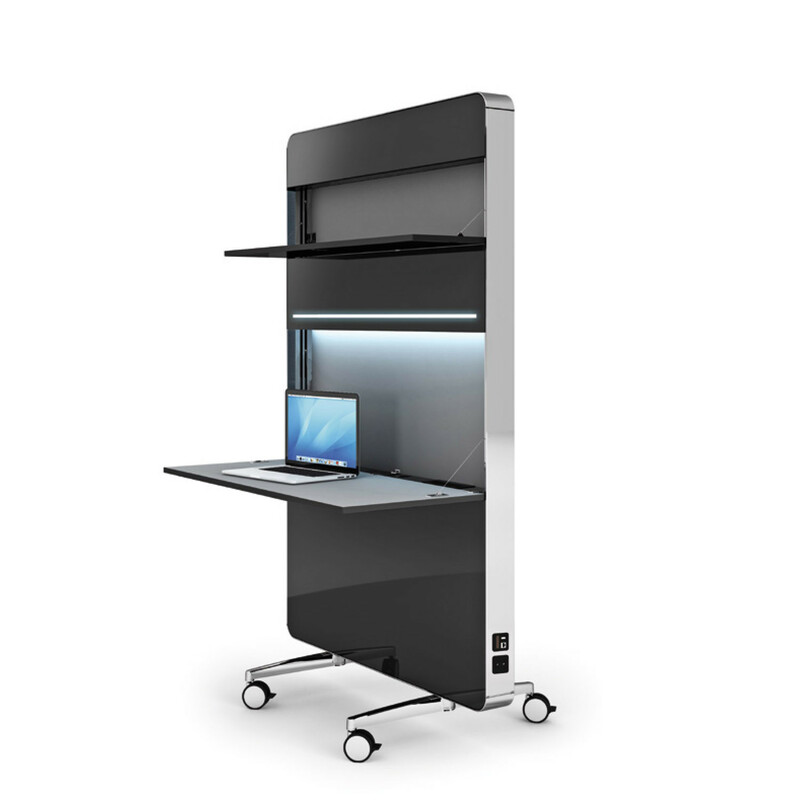 Nomado Mobile Desk is, essentially, a compact mobile office unit with a conveniently flat body design. The worktop can be folded out to form a fully-equipped workplace complete with task lighting, electric outlets and storage space. When folded flat it turns into a mobile horizontally stackable separator wall that integrates perfectly well into any environment. Specifically designed so that several units can be stacked tightly together, Nomado is a real space saver when not in use. 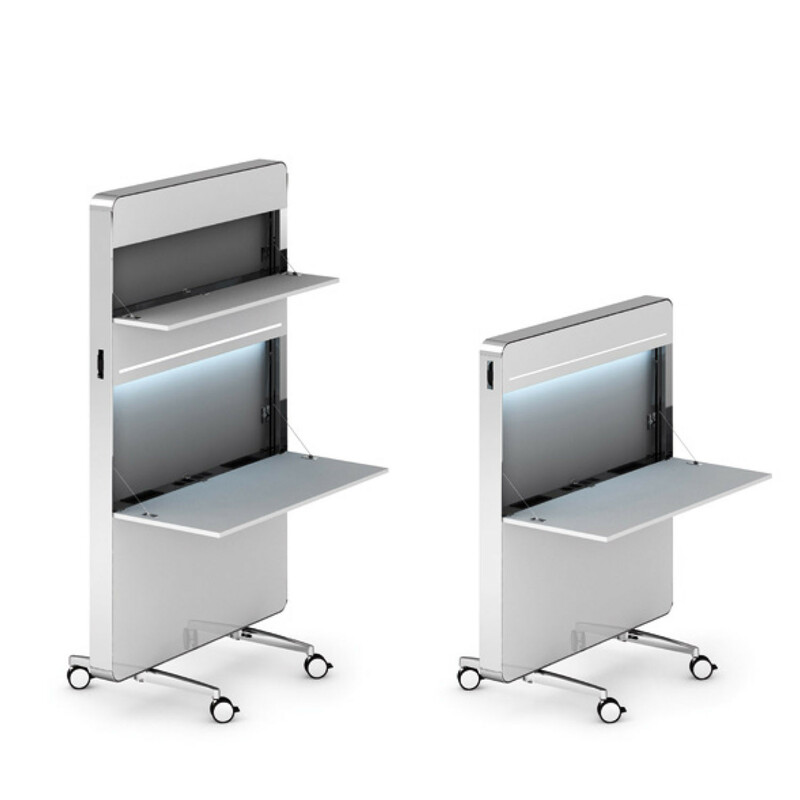 Equipped with LED task lighting, Nomado Mobile Office Workstation features an embedded lighting strip which emits a restrained glow, setting a contemporary, classy and inspiring accent especially in low lighting conditions. 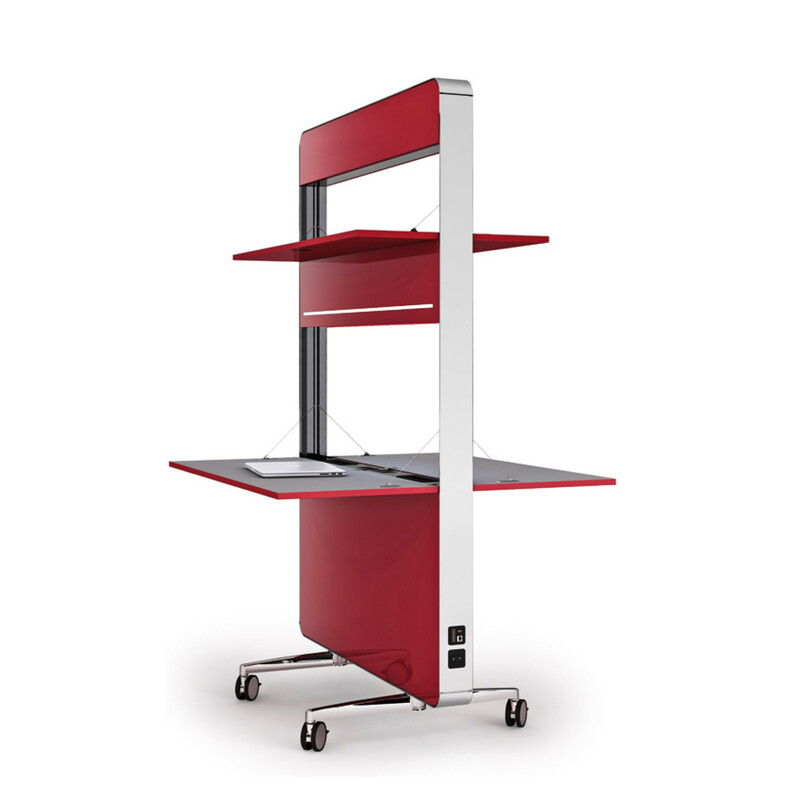 With the worktop open, Nomado Sit-Stand Desk offers a power strip and two integrated storage spaces for pens and other small articles. 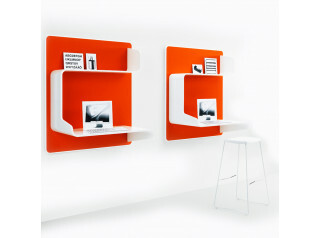 The version with tops folding on one side can also feature a magnet board on the internal wall as an additional option. When the worktop is folded out it is securely held in position by steel wires that slide along the side frames with the aid of pneumatic springs. Nomado is available in as an acoustic wall separator without worktops (Nomado-panel); with a worktop at standing height (110 cm) and with a worktop at sitting height. In addition, the versions with sitting-position worktops come in two overall heights (180 cm and 136 cm), with an optional upper shelf in the 180 cm version. All the above versions come in models that open on either one or both sides. 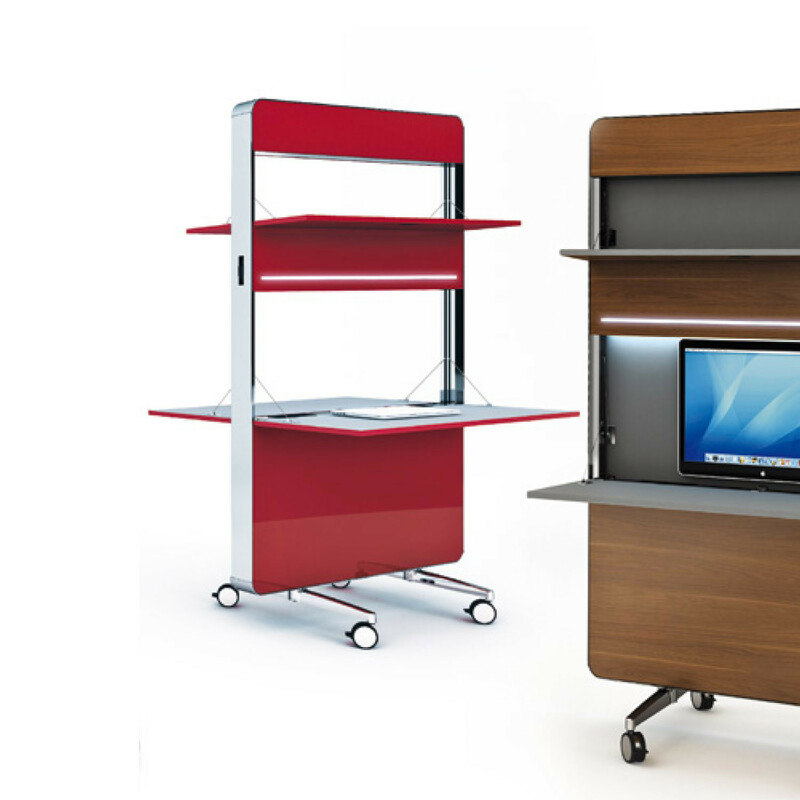 All Nomado Office Desk surfaces are covered with a high-end glossy covering and are available in four different colours. 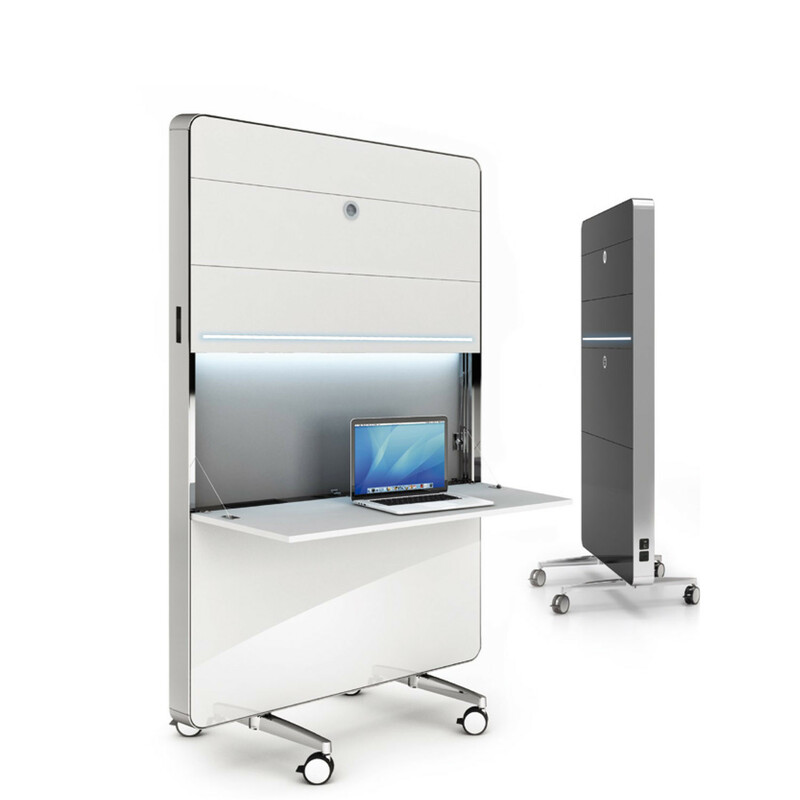 The Nomado Mobile Desk is surrounded by an aluminium frame that defines its character and provides protection for the panel edges. 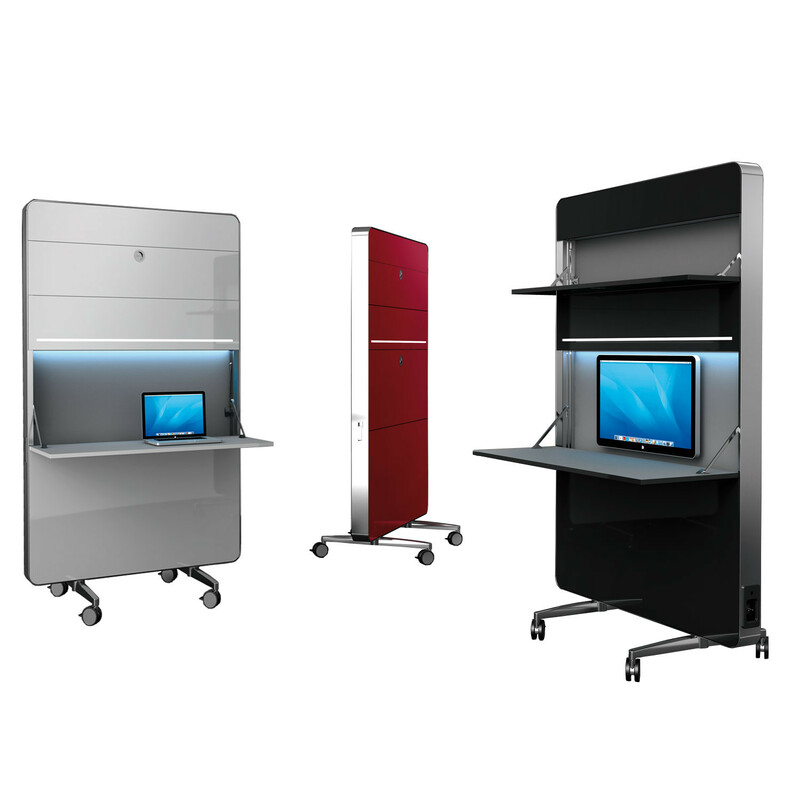 The frame and matching base are available in polished or anodized finishes. View more furniture from Mobica Plus. 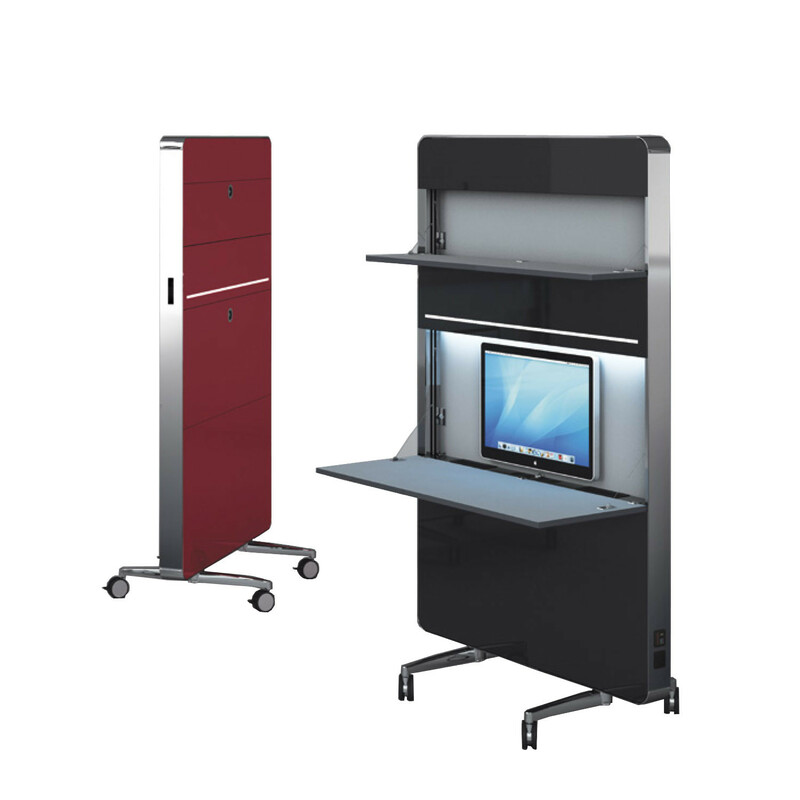 You are requesting a price for the "Nomado Mobile Desk"
To create a new project and add "Nomado Mobile Desk" to it please click the button below. 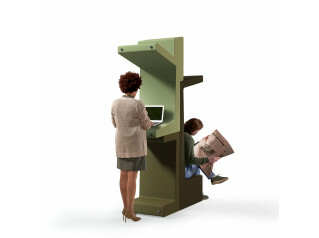 To add "Nomado Mobile Desk" to an existing project please select below.